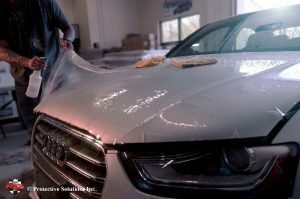 Our Clear Bra PremiumShield Paint Protection application will protect your vehicle from road rash and keep your vehicle’s paint in tact. 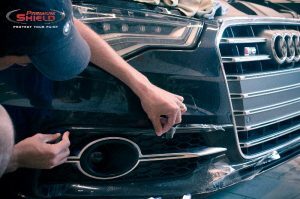 Don’t let the paint on your vehicle become chipped or scratched! WHAT IS THE CLEAR BRA PREMIUMSHIELD PAINT PROTECTION? The Clear Bra PremiumShield is a strong, optically clear protection film that is designed to protect your vehicle’s painted surfaces from stone impact or road rash. 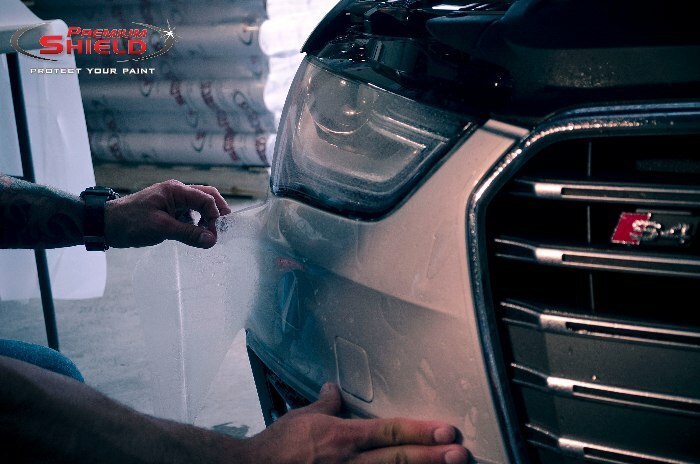 No need to worry about chips or scratches in your paint anymore! Our Clear Bra PremiumShield will give you that ease of mind. WILL THE CLEAR BRA DIMINISH THE APPREARACE OF MY VEHICLE? No! 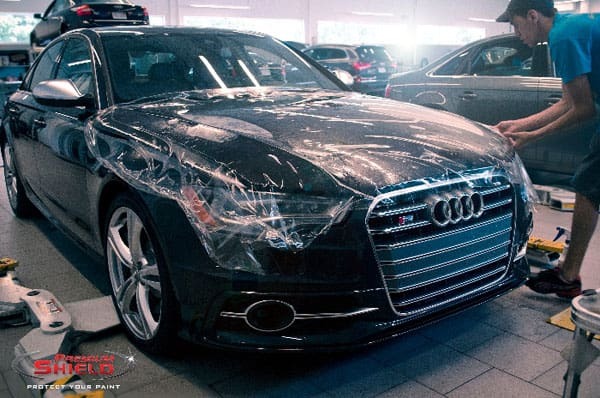 Clear Bra PremiumShield will protect your car from road rash, leaving it in showroom condition year after year while remaining virtually invisible. CAN CLEAR BRA PREMIUMSHIELD BE WASHED AND WAXED? Yes, you may wash and wax your vehicle as if Clear Bra PremiumShield were not present. In face, the film loves wax! 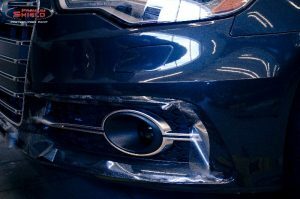 WILL MY VEHICLE'S PAINT FADE UNDER THE SUN? By combining an industry first with a patent pending, clear coat with a tried and true aliphatic polyurethane resin, PremiumShield products are the ideal protective film for any surface. 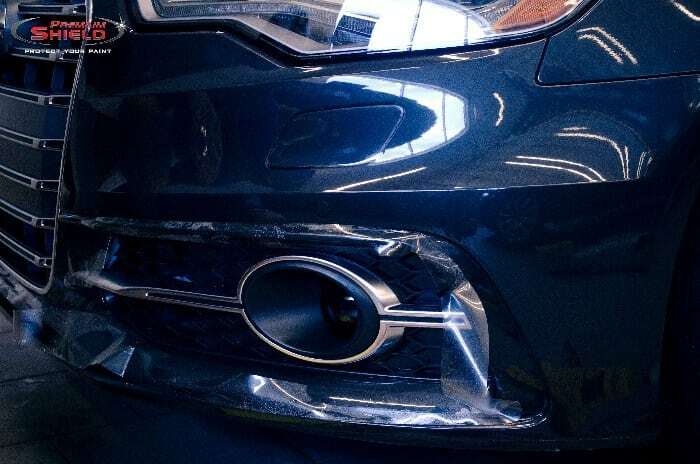 With non-wrap kits as well as those that ‘wrap’ your exposed edges, Clear Bra PremiumShield continues to be an industry leader in paint protection for your vehicle. The video to the left shows the self healing capabilities of the top coated PremiumShield Elite. 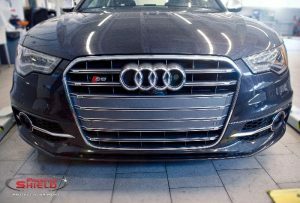 PremiumShield paint protection film is the highest quality product available today and 100% owned & manufactured in the USA! Watch how the material heals itself with warm water right before your eyes! 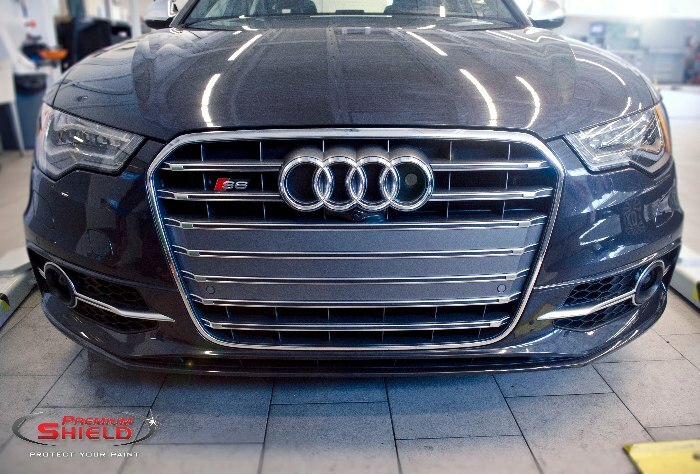 If you’re interested in our paint protection packages, please use the contact form below for any inquiry you may have or call our facility at 773-583-3770 and speak to one of our specialists. With over 30 years in the aftermarket accessory & customization field, there isn’t a job too big or too small. 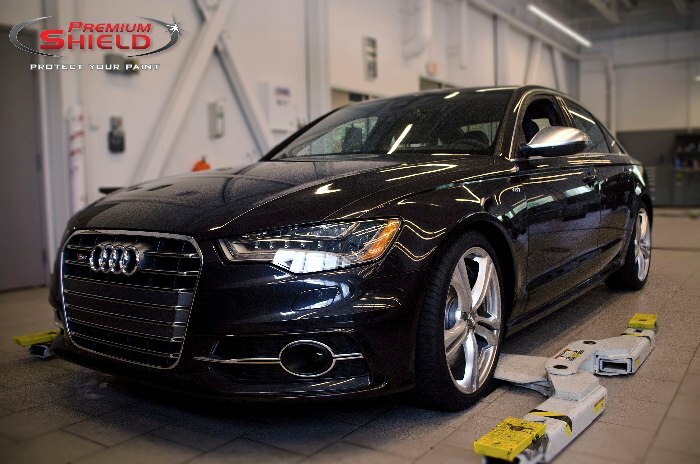 Let our team of experts give you the service you deserve! You’ll be happy you contacted Mr. Kustom of Chicago! 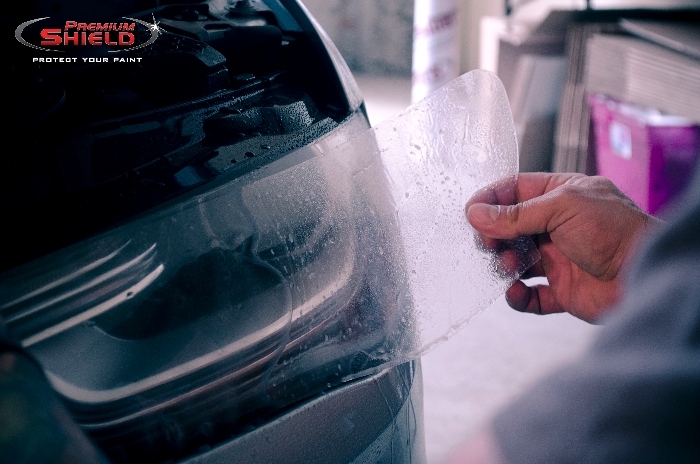 Don’t let your beautiful paint job get ruined by stone chips or dings with our Clear Bra Paint Protection.